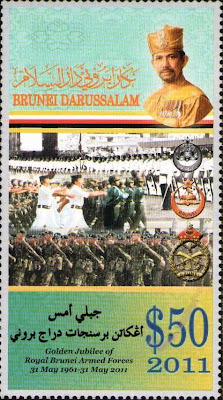 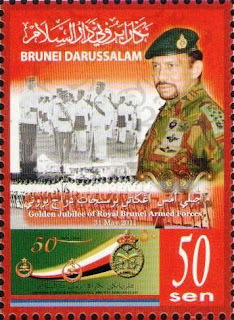 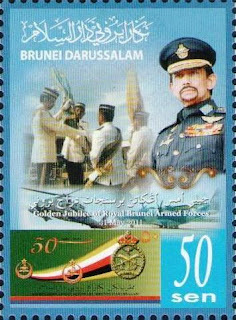 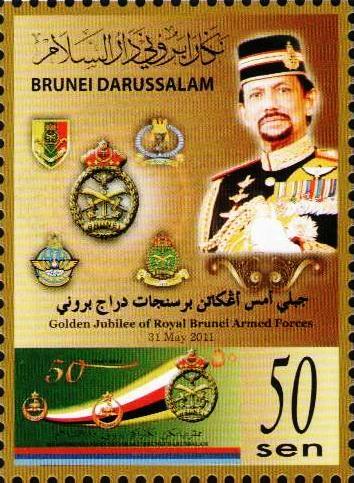 Closeup views of the five 50 cents stamps issued for the Golden Jubilee of the Royal Brunei Armed Forces. Last year the Royal Brunei Armed Forces celebrated its 50th Anniversary. 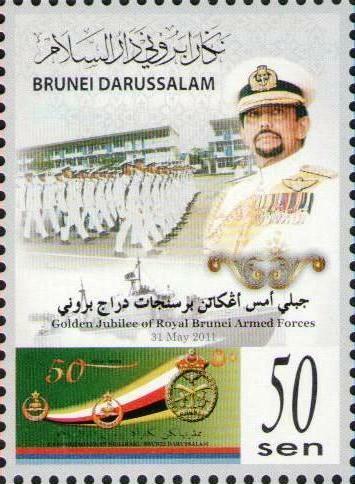 I thought there will be stamps to commemorate the Golden Jubilee but there were not any. 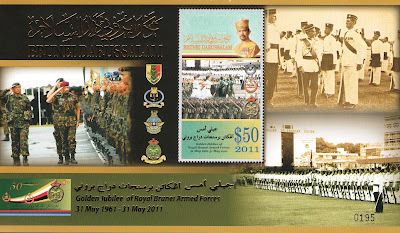 On 31st May this year, the stamps finally came out. The stamps are in a series of 5 stamps at 50cents each, $2.50 is the cost for the five stamps. 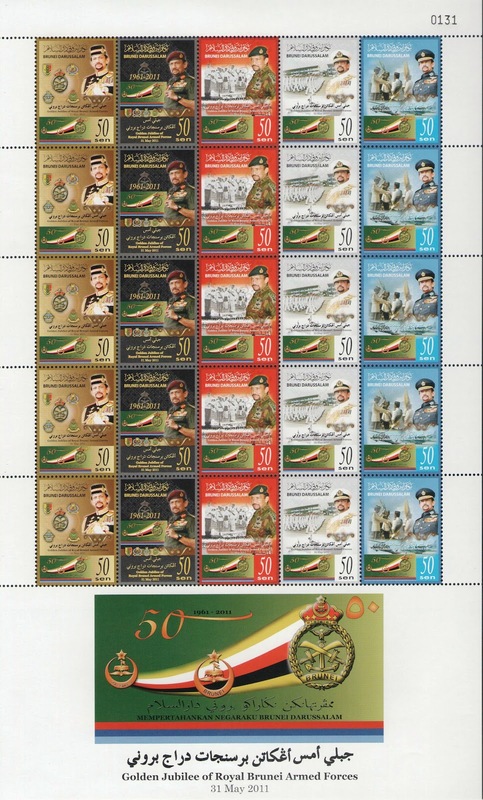 There was also a miniature sheet with $50 stamp to commemorate the 50th anniversary. 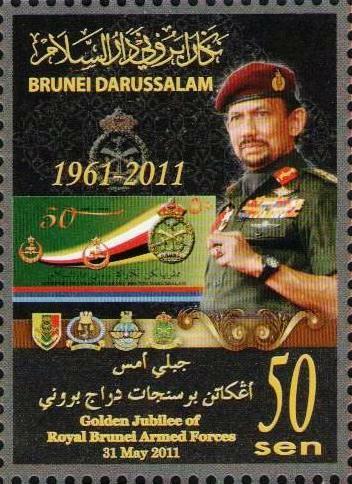 I have lost count of how many $50 stamps now issued by the Brunei postal authorities.